Location was good. Food was awesome. Staff was very helpful. The staff were so friendly and inviting. Brilliant entertainment and a fantastic place to stay, I really recommend going here. 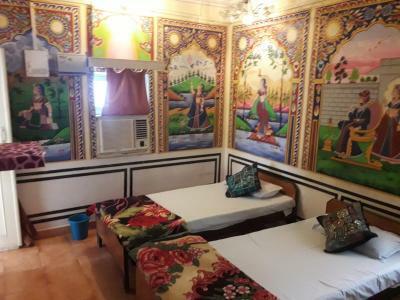 Clean room with murals, comfortable bed, roof terrace with view, friendliness and hospitality of the staff, value for money. I absolutely loved staying here. It’s such an amazing hotel. Clean and comfortable with great AC. Easy walking distance to see all the old Buildings and market. 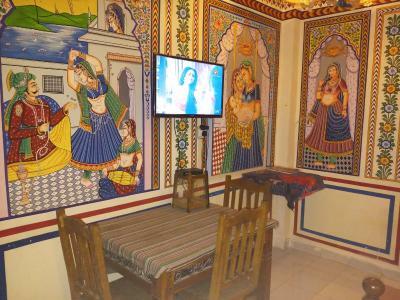 It is a Haveli (old mansion) turned into a hotel and the architecture and paintings and wonderful. Wish I could have stayed longer. 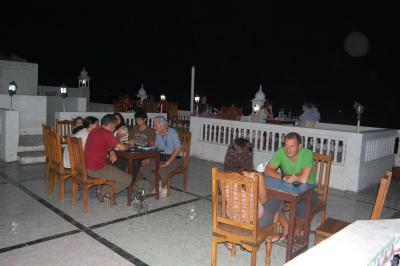 Also the staff wants you to enjoy yourself and are very friendly. Manager and aide 'Chokli' cheerful and helpful. Colorful decor. Rooftop restaurant views across town, tasty food. Special event: noisy musical wedding procession in street below. The staff was very friendly and very helpful and courteous & did more than was expected. My mother had problems with stairs so food was brought to her room & the staff did everything to make her comfortable. The view of the city at breakfast time from the rooftop restaurant was amazing and added to our enjoyment of the place. Mr. Pramod the manager was very helpful and kind. 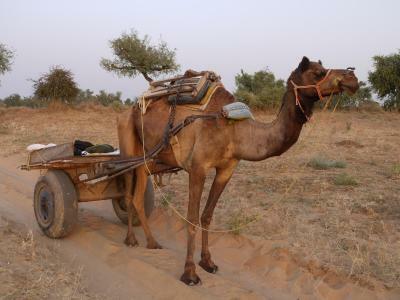 He ran the hotel almost single handedly and very capable. He is also the cook and can dish up delicious dinners and breakfasts. 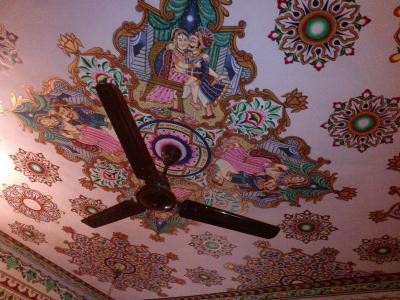 The whole hotel, corridors and rooms have beautiful paintings. Very good value for the price and a very pleasant 2 nights stay. 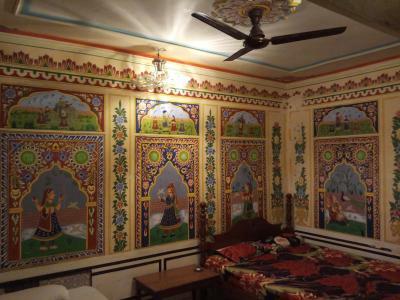 Hotel Shekhawati This rating is a reflection of how the property compares to the industry standard when it comes to price, facilities and services available. It's based on a self-evaluation by the property. Use this rating to help choose your stay! 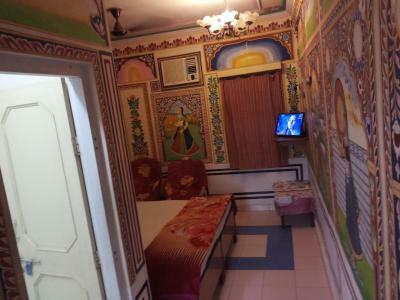 Hotel Shekhawati is located in Mandāwa. Free Wi-Fi access and a 24-hour front desk are available. 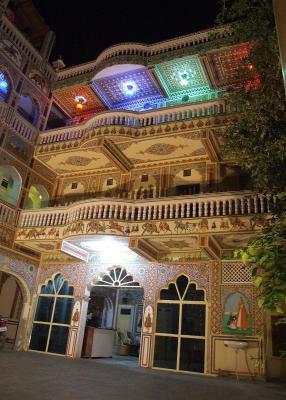 The ancient Haveli has traditional Rajasthani architecture. 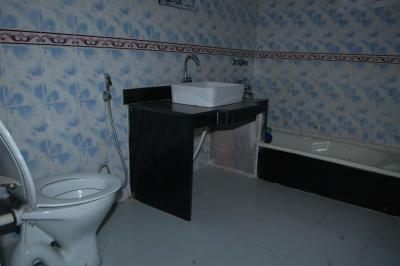 The property is located just 600 feet from Subhash Chowk Bus Stand and 9.3 mi from Mukund Garh Railway Station. 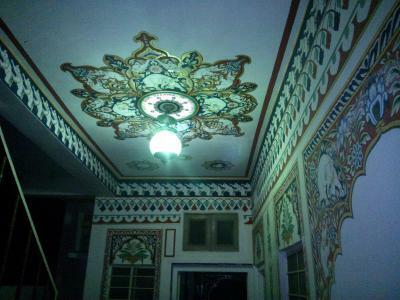 Ramgarh Town is 16 mi away and Navagarh Museum is 17 mi away. Dundlod Temple and Fort are 12 mi away. 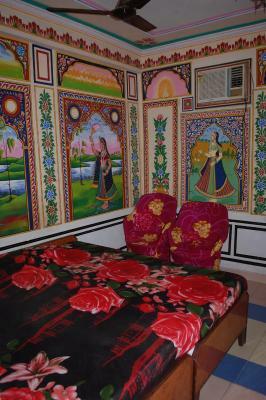 Rooms here will provide you with a TV, air conditioning and a seating area. Private bathrooms also come with a shower. Extras include cable channels. At Hotel Shekhawati you will find access facilities for the physically challenged, a massage center, babysitting services, a terrace and a bar. Other facilities offered include meeting facilities, a tour desk and luggage storage. 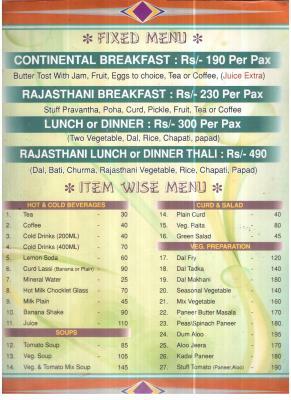 The in-house restaurant serves pan-Indian fare. Guests can enjoy from various room service throughout the day. 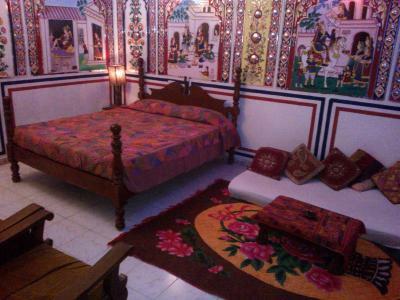 When would you like to stay at Hotel Shekhawati? Featuring a private balcony, rooms here will provide you with a TV, air conditioning and a seating area with a sofa. Private bathrooms also come with a shower. Extras include cable channels. Featuring a private balcony, large rooms here will provide you with a TV, air conditioning and a seating area with a sofa. 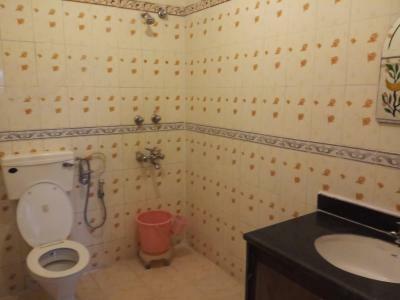 Private bathrooms also come with a shower and bathtub. Extras include cable channels. 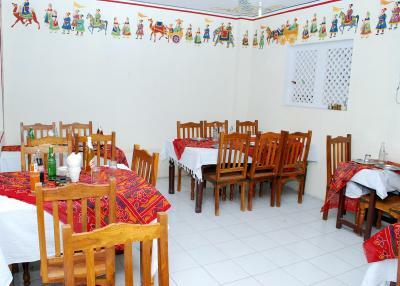 This twin/double room has a balcony, seating area and dining area. 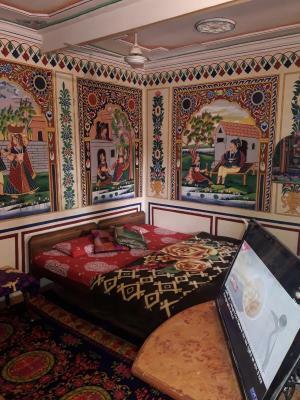 House Rules Hotel Shekhawati takes special requests – add in the next step! 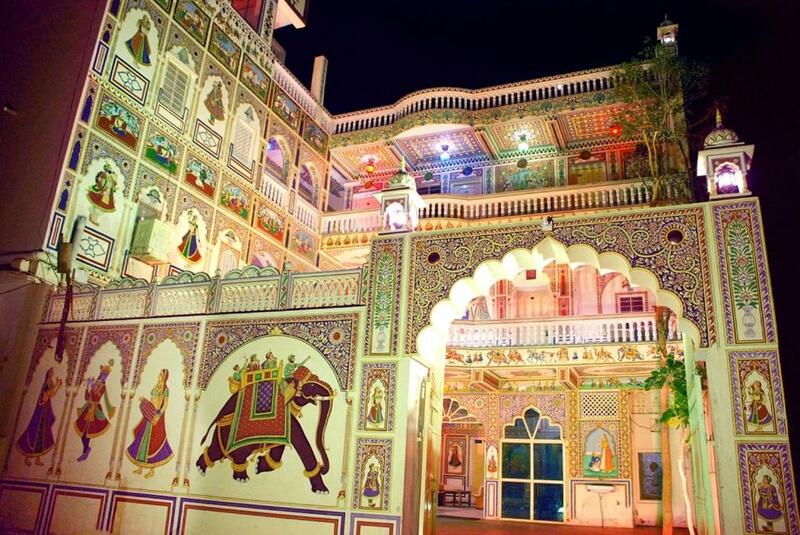 Hotel Shekhawati accepts these cards and reserves the right to temporarily hold an amount prior to arrival. 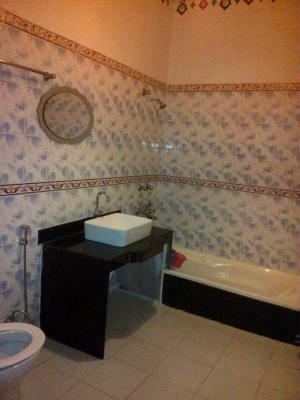 Please note that this property requires an advance deposit that is 1 night's reservation charge to be made in advance. 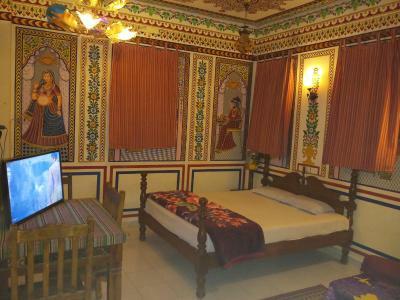 The hotelier will contact the guest directly in this regard. It could probably be a bit cleaner. But then again the dust and sand gets everywhere. A losing battle to keep dust free. 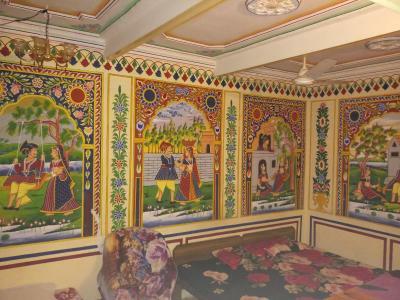 Fully decorated room with beautiful paintings. Location also close to the bus stand. Mattress a little hard but that’s being picky..
Staff here are amazingly friendly and helped us out at any given opportunity. The rooftop for dinner and breakfast is perfect with great views. 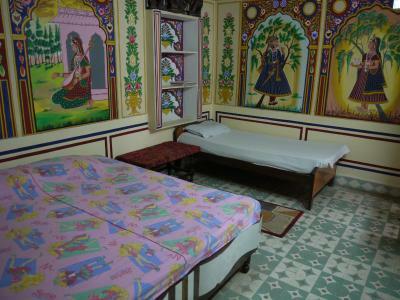 The rooms are lovely and clean, the Indian artwork is something to be seen!!! Beds not that comfy. Food in the restaurant was not that good. Was hard to pay for the room, they don't accept credit card easily. Was hard to find a good bank machine that doesn't charge crazy transaction fees in this town. 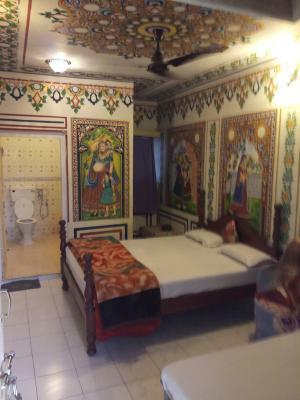 Great budget hotel, very worth the price. 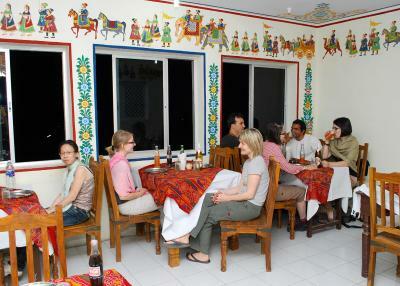 Rooms are decorated nicely, and food was great at the restaurant. It was quiet and safe and no issues. The facilities in the room could have been better. The internet is a little slow but that was the case in most hotels we stayed at. Definitely worth the price. 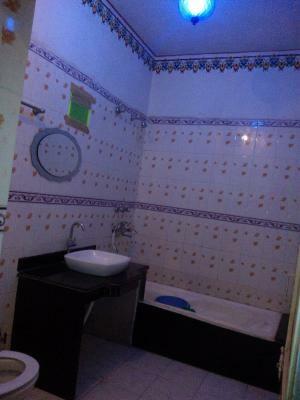 I was worried it was too cheap because of another cheap place we stayed at earlier in our India trip but this place beat that one in every way. 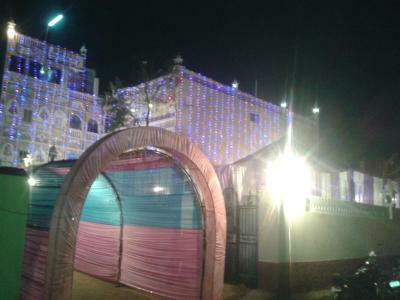 We were there for New Years and it’s cold but they have a little electric heater that’s worth the 300 rupees extra. The beds in our room were hard, gave us sore backs. The quilts were without covers, so we got rashes. 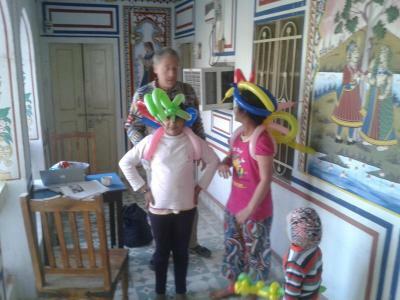 The staff was very friendly and hospitable. It’s too noisy for me. The hôtel is a beautiful haveli well situated. The staff is very awailable.